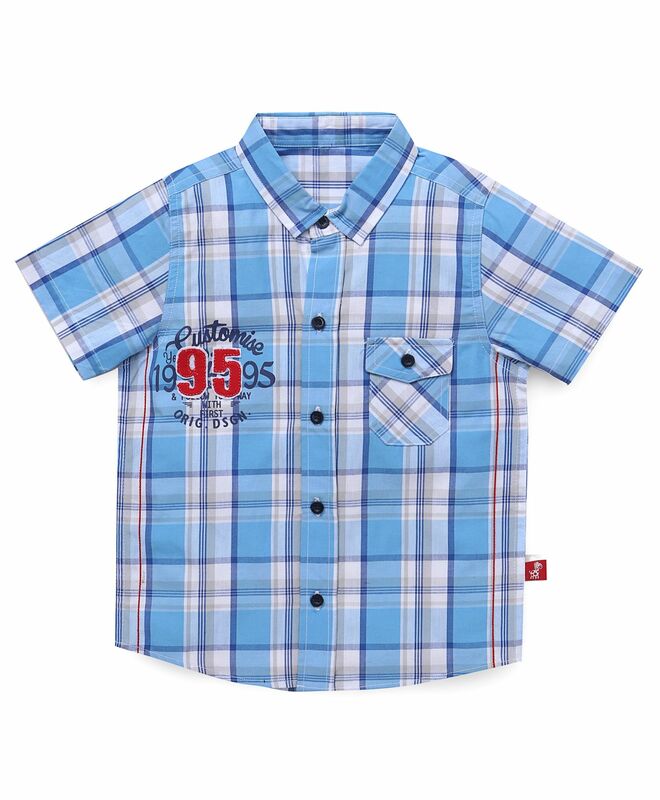 Update your son's wardrobe and make him look smart as you dress him up in this shirt from Bodycare. 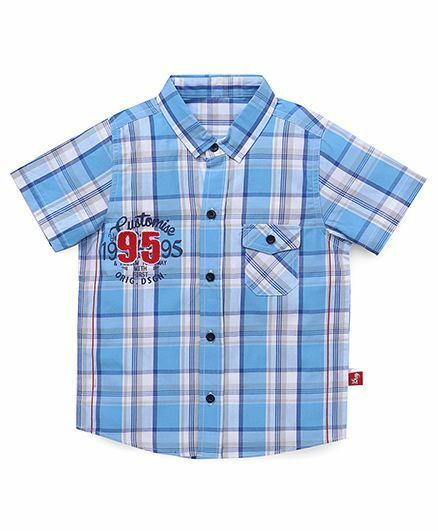 Made from soft fabric, this shirt features checks print with one chest pocket, number 95 patch to the front and stylish print to the back, all of which makes this an ideal casual wear shirt. Front button closure of the shirt will keep your champ comfortable all day long. This regular-fit shirt can be teamed with a pair of blue jeans and sneakers to complete his stylish look.